Oculus Rift is one of the most well known and most popular virtual reality headsets available to the market today. It was released slightly over a year ago by Oculus, who are a part of Facebook. Through a Kickstarter campaign they received enough funding to manufacture the headset and many welcomed the release with open arms as the world took a step into the virtual reality universe. There’s been a lot of talk about virtual reality in general and whether it will ever go mainstream. The sales haven’t been as expected so far and many are questioning whether VR headsets are just another fad or if they will be around forever. There are many industries that are keenly anticipating the rise of the VR trend, video gaming companies are an obvious sector; with online casino suppliers thinking of all the benefits which can enhance online casino games, especially slots and table games. One only has to imagine being able to appreciate the atmosphere and buzz of walking through a virtual casino through VR headsets, however that being said, it’s difficult to know whether VR will take off in the casino industry. With the Oculus Rift being one of the most popular, let’s take a look at exactly what it offers to the consumer. The first thing anybody wants to know is the price and whether what they’re buying is worth it. 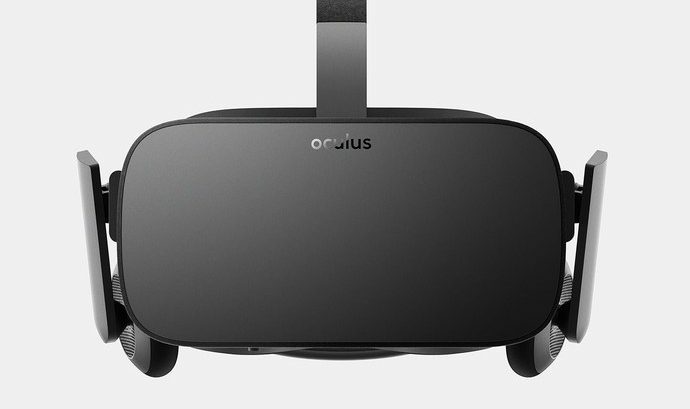 So there’s good news on this front with the Oculus Rift being permanently reduced price wise. You can now pick up a Rift VR headset bundled with Touch controllers for £400. The company prior to this were charging around double the amount. The other popular VR headsets on the market currently cost nearly double to buy. A drawback of the Oculus Rift on the other hand could be that you need a PC with top specs to make the most of the VR headset. So you need to consider that before buying the Oculus Rift. If you haven’t got a PC that offers enough spec wise, you will either need to buy one or look for an alternative. It could end up with you spending that bit extra to enjoy VR at its best. The Oculus Rift combined with a top spec PC will deliver you a great virtual reality experience. The design of the headset does look kind of sleek and although it might look a bit daft attached to the front of your face, or it may weigh a bit pulling your head forward, you have to remember that this is probably the best that you’re going to get it right now. Some would say it’s worth it as you’re transferred and then immersed in a virtual reality world. Like I’ve said previously, combining the Oculus Rift with a top spec PC is like a dream. It gives you perfect performance throughout and allows you to enjoy virtual reality to its current maximum capabilities. The other thing to complete the product is content. If you nail content and you nail performance, you know you’re onto a winner. Content is one of the main draws for customers, they’ll want to know that there is enough or that there is good quality content out there to enjoy through a VR headset before committing to buying one. With it being a pretty new concept, the content so far isn’t perfect. It’s kind of hit and miss. Some games such as EVE Valkyrie and ADR1FT really impress whereas others seem a bit too gimmicky. Users of VR technology, will be pleasantly surprised that online gaming companies have already started to develop online video slots and table games that will incorporate the use of the headsets and greatly enhance every aspect of the gaming experience. So there is enough content though and good quality content at that, to make buying an Oculus Rift worth it. Just to clear up a few concerns over motion sickness, many will find that they do feel a bit strange when using VR headsets. Oculus themselves said that you need to build up a sort of tolerance so expect to feel a bit off first of all but over time, these feelings will fade and you’ll enjoy and appreciate virtual reality as intended. Therefore, all things being considered, the Oculus Rift is a good buy, which will bring joy to all!